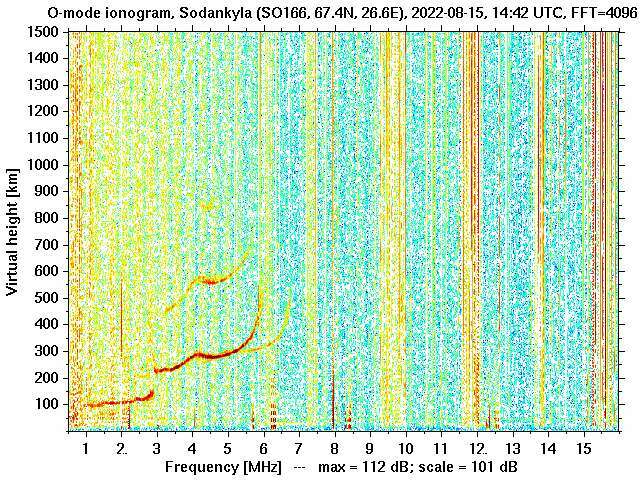 Last night, an atypical incoherent scatter radar experiment was run in parallel at the EISCAT radars on Svalbard (ESR) and in Tromsø. Dr Anja Strømme, from Stanford Research Institute (SRI) International, is indeed conducting an ambitious project. She offered some of the students following the radar course at UNIS (the University Centre in Svalbard) – for which she is giving lectures these weeks – to join her at ESR while the radars were running. The objective of her project is to study the NEIALs, the acronym for Naturally-Enhanced Ion Acoustic Lines, which appear regularly on the incoherent scatter radar (ISR) spectra. These features show as a strong enhancement of one (or both) of the lobes of the double-humped ISR spectrum for a short time. The underlying mechanism leading to such observations is still not well understood, and several tentatives of explanation are competing. 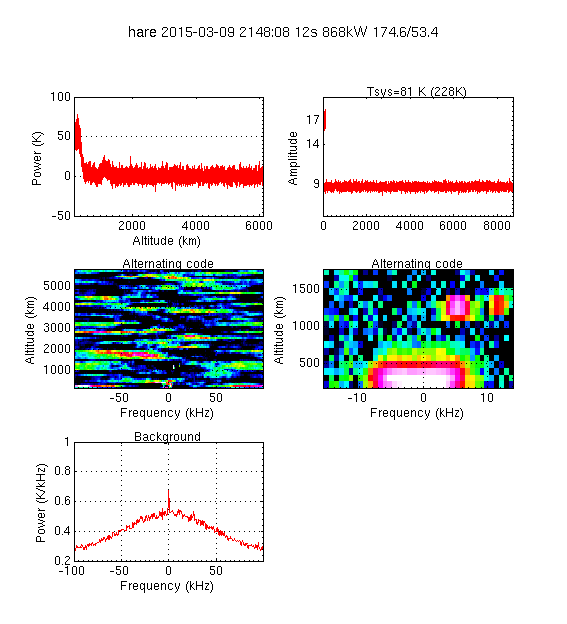 A potential NEIAL signature in the ISR spectrum (pink blob in the middle-right-hand panel) observed at ESR. To try to improve the understanding of this phenomenon, Anja ran a very specific experiment, getting the radar to a non-nominal mode. The idea is to have the radar in Tromsø observe along the magnetic field line, while the ESR points in such a way that its line of sight is tangential to the field line observed by the Tromsø radar, in the so-called acceleration region. The two radar beams cross at a distance of about 6000 km, way outside of the ionosphere. At that distance, the plasma density is extremely low, giving incredibly weak backscattered signal, which is why the experiment is so ambitious. 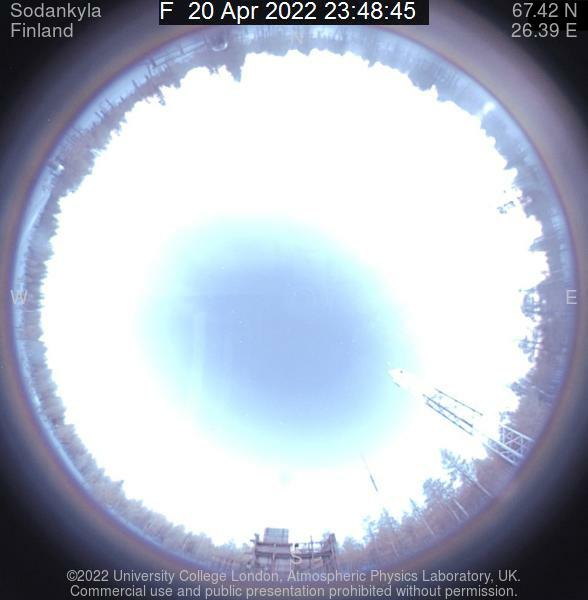 The aim is to observe whether NEIALs can be observed simultaneously with both radars, which would support the hypothesis that they originate from the acceleration region. If these observations prove successful, no doubt that this will lead to very exciting science. Stay tuned for publications!